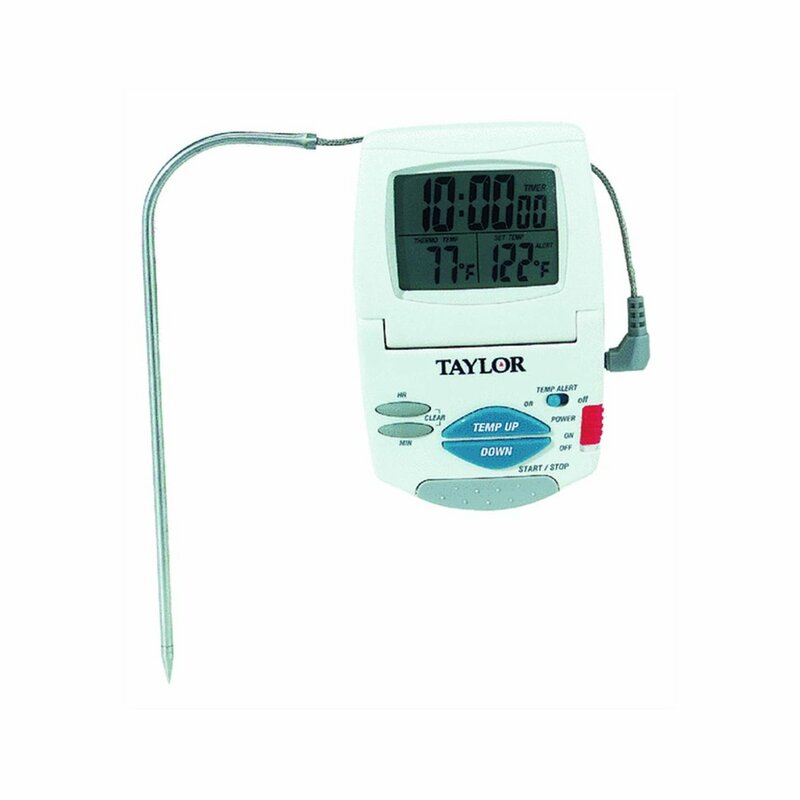 The Taylor Digital Cooking Thermometer Timer is an example of superior designand craftsmanship. This product helps to eliminate over-cooking or under-cooking foods. Presetting to the recommended cooking temperatures and orcooking time is simple and ensures that food will be cooked to your preferredtaste.